Like all metals and alloys that relay on a passive film for corrosion resistance, stainless steels are susceptible to localized corrosion, i.e. pitting or crevice corrosion. Both these types of corrosion usually occur in chloride-containing aqueous solutions such as sea water, but can also take place in environments containing other halogenides. Like all metals and alloys that relay on a passive film for corrosion resistance, stainless steels are susceptible to localized corrosion. The protective passive film is never completely perfect but always contains microscopic defects, which usually do not affect the corrosion resistance. However, if there are halogenides such as chlorides present in the environment, these can break down the passive film locally and prevent the reformation of a new film. This leads to localized corrosion, i.e. pitting or crevice corrosion. Both these types of corrosion usually occur in chloride-containing aqueous solutions such as sea water, but can also take place in environments containing other halogenides. Pitting is a form of (extremely) localized attack that results in holes in the metal. These holes may be small or large in diameters, but in most cases they are relatively small. A pit may be described as a hole with the surface diameter about the same or even much less than the depth. Pitting is a rather insidious form of corrosion. Pitting usually requires an extended initiation period before visible pits appear. This period ranges from months to years, depending on both the specific metal and the corrosive environment. In very aggressive environment like acid media containing ferric chloride serious pitting of stainless steels like e.g. 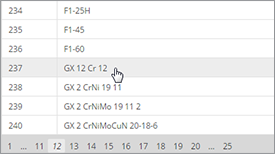 X2CrNi19-11 (304L) can occur even in a couple of days. Once started, a pit penetrates the metal at an ever-increasing rate. 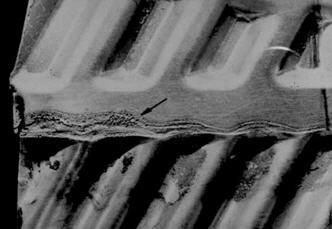 In addition, pits tend to undermine or undercut the surface as they grow. Sometimes the diameter of the pit can grow in diameter extensively below the surface. Pits usually grow in the direction of gravity. Most pits develop and grow downward from horizontal surfaces. Lesser numbers start in vertical surfaces, and only rarely do pits grow upward from the bottom of horizontal surfaces. Pitting is characterized by more or less local points of attack with considerable depth and normally occurs on free surfaces (See Figure 1). Crevice corrosion occurs in narrow, solution-containing crevices in which the passive film is more readily weakened and destroyed. 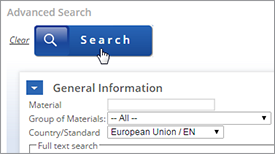 This may be under washers, flanges, deposits or fouling on the steel surface. Crevice corrosion can be a result of differences in oxygen or metal ion concentration between the crevice and its surroundings. Local differences in composition of a solution cause potential differences on an immersed metal and thus accelerate corrosion. Of particular importance in this respect are differences in oxygen content, commonly known as differential aeration. Depletion of an inhibitor in the crevice. Application of more resistant construction materials, like high nickel Mo alloys. Use “solid” non absorbent gaskets, such as PTFE. Figure 1: Pitting occurrence depending on Mo content in AISI 304. 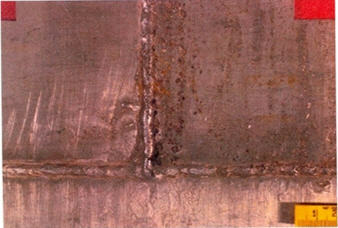 Figure 2: Crevice corrosion under a rubber washer in a flat heat exchanger used in brackish water. Both forms of corrosion occur in neutral environments, although the risk for attack increases in acidic solutions. Chromium, molybdenum and nitrogen are the alloying elements that increase the resistance of stainless steels to both pitting and crevice corrosion. Resistance to localized corrosion in sea water requires 6% molybdenum or more. 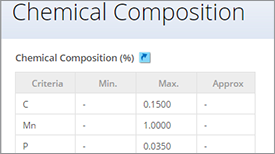 The difference between the formulas is generally small but the higher coefficient for nitrogen will give a difference in the PRE-value for the nitrogen alloyed grades. The effect of composition can be illustrated by plotting the critical pitting temperature (CPT) in a specific environment against the PRE-values for a number of steel grades. The Figure 3 shows the critical pitting temperature (CPT) in 1M NaCl as a function of PRE-values. The CPT values are the lowest temperatures at which pitting corrosion attack occurred during testing. Figure 3: pitting temperature (CPT) in 1M NaCl as a function of PRE-values. Since the basic corrosion mechanism is the same for both pitting and for crevice corrosion, the same elements are beneficial in combating both types of corrosion attack. 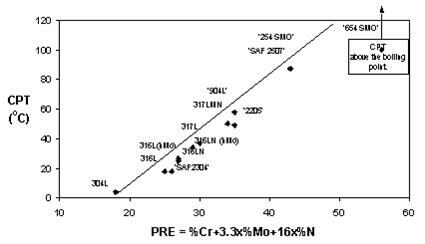 Due to this, there is often a direct correlation between the CPT- and CCT-values for a certain steel grade. Crevice corrosion is more severe of the two types of corrosion attack and the CCT-values are lower than the CPT-values for any stainless steel grade. This is illustrated in Figure 4 where the critical pitting temperature (CPT) and the critical crevice corrosion temperature (CCT) in 6% FeCl3 have been plotted against the PRE-values for a number of stainless steels. 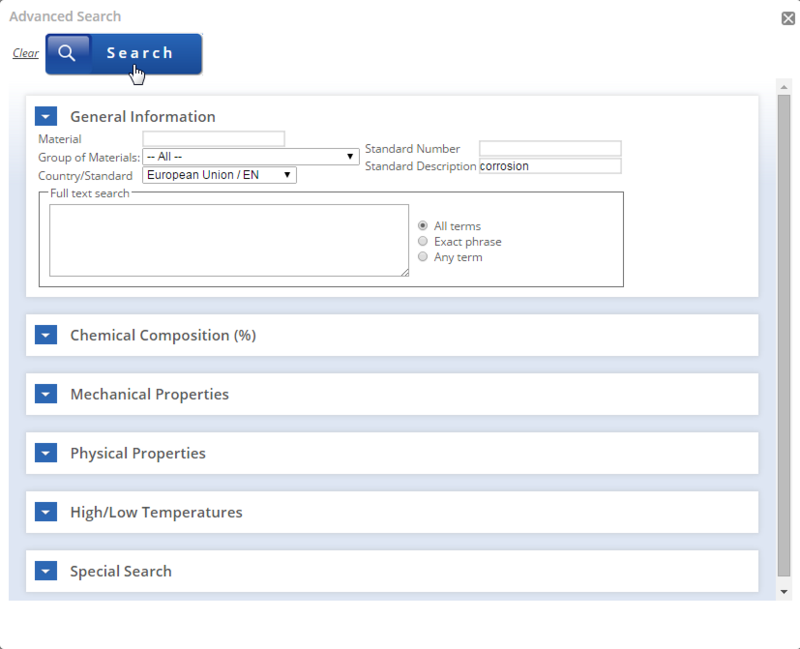 Again the CPT and CCT values are the lowest temperatures at which corrosion attack occurred. 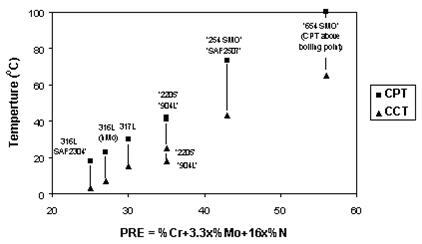 Figure 4: Critical pitting temperature (CPT) and critical crevice corrosion temperature (CCT) in ferric chloride for various stainless steels. As can be seen from the diagrams in Figures 3 and 4 there is a relatively good correlation between the PRE-values and the CPT and CCT. 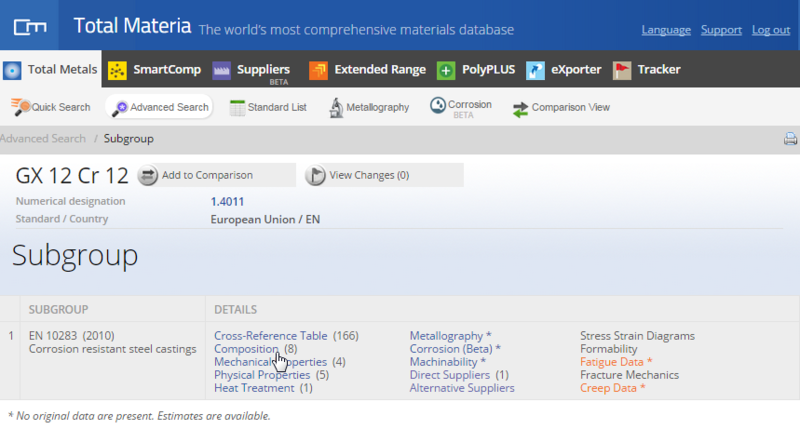 Consequently the PRE-value can be used to group steel grades and alloys into rough groups of materials with similar resistance to localized corrosion attack, in steps of 10 units in PRE-value or so. 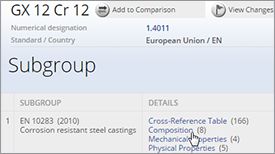 However, it cannot be used to compare or separate steel grades or alloys with almost similar PRE values. Finally, it must be emphasized that all diagrams of this type show comparisons between steel grades and are only valid for a given test environment. 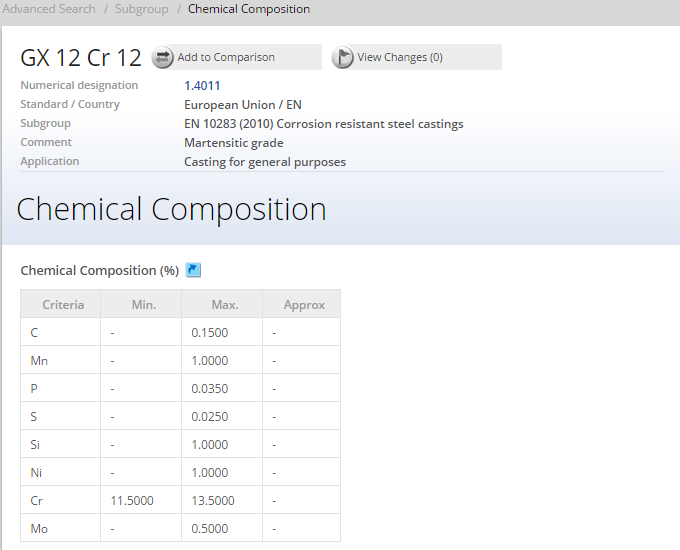 Note that the steel grades have different CPT’s in NaCl (Figure 3) and FeCl3 (Figure 4). The temperatures in the diagrams cannot therefore be applied to other environments, unless there is a practical experience that shows the relation between the actual service conditions and the testing conditions. The relative ranking of localized corrosion resistance is, however, often the same even in other environments. The closer the test environment is to the “natural” environment, i.e. 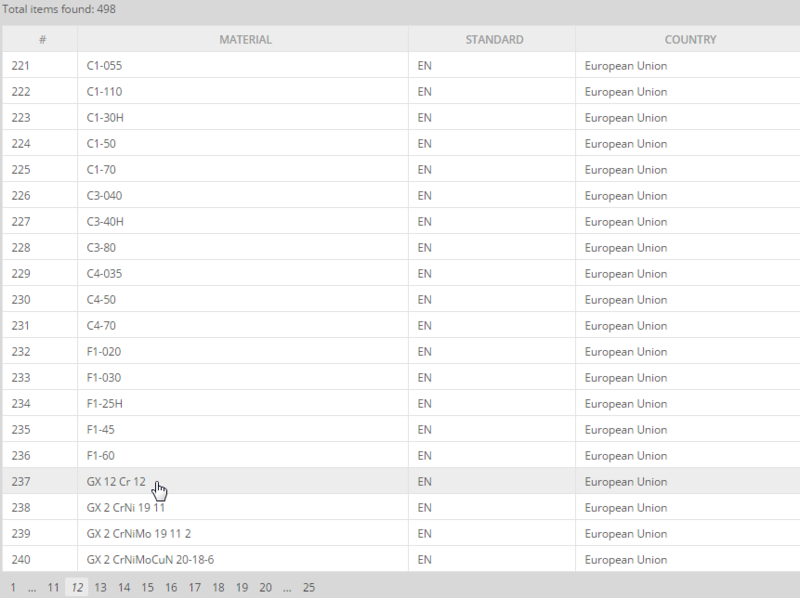 the closer the test environment simulates the principal factors of the service environment, the more can the data generated in it be relied on when judging the suitability of a certain steel grade for a specific service environment. A test in sodium chloride is consequently better than a test in ferric chloride for judging whether or not a certain grade is suitable for one of the neutral pH, chloride containing water solutions which are common in many industries. In order to obtain a good resistance to both pitting and crevice corrosion, it is necessary to choose a highly alloyed stainless steel with a sufficiently high molybdenum content. However, choosing the right grades is not the only way to minimize the risk for localized corrosion attack. The risk for these types of corrosion attack can be reduced at the design stage by avoiding stagnant conditions and narrow crevices. The designer can thus minimize the risk for pitting and crevice corrosion both by choosing the correct steel grade and by appropriate design of the equipment.